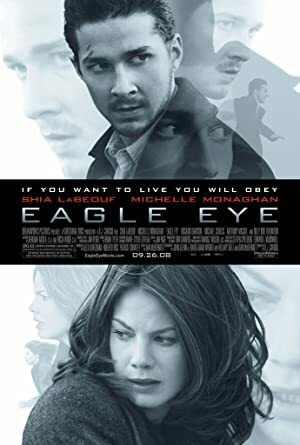 Eagle Eye (2008) – What's New on Netflix Canada Today! Jerry Shaw is an amiable slacker with an over-achieving twin brother. After his twin dies in an accident, strange things happen to Jerry at a dizzying pace: a fortune shows up in his bank account, weapons are delivered to his flat, and a voice on his cell phone tells him the police are on their way. Jerry follows the voice’s instructions, and soon he and a woman he’s never met are racing through the city, on to a plane, and eventually to the Pentagon, chased by the FBI. She is Rachel Holloman, a single mom; the voice has threatened her son’s death if she doesn’t cooperate. The voice seems to know everything. Who is behind it, what is being planned, and why Jerry and Rachel?